The five-line inscription is in Soane's hand as are parts of the drawing. The verso is certainly by Soane. 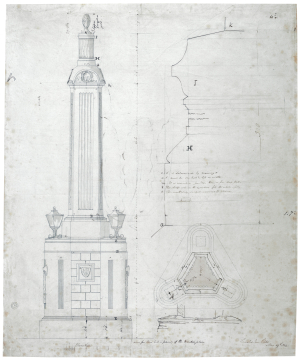 The drawing is close to the executed design and was preceded by (undated) drawings  and . There is a small mahogany model for the obelisk (in the Soane museum) that is very close to drawing .